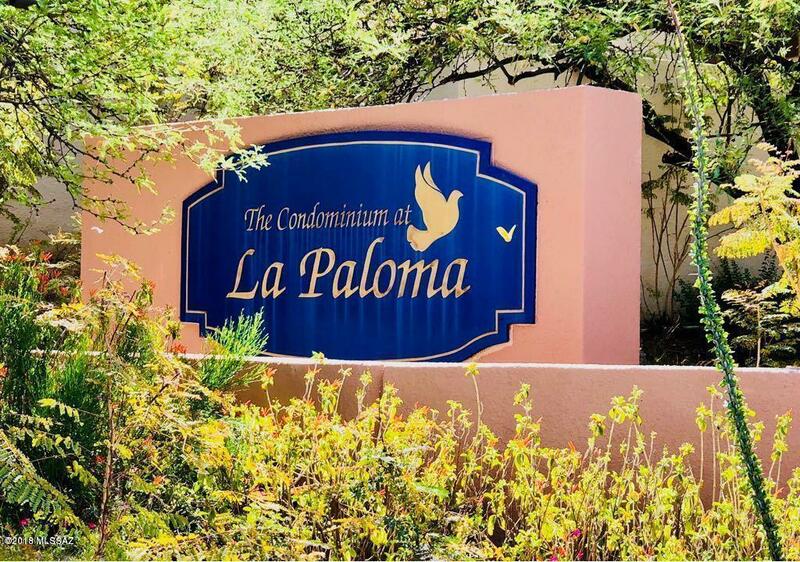 Imagine resort style living in this gorgeous upstairs condo in the desirable staffed gated community of La Paloma. Home features 2 large master bedrooms, 2 baths, 1 with whirlpool tub, Saltillo tile throughout, 1 car garage with extra parking and storage, vaulted ceilings, wood burning fireplace, large balcony for grill, table and chairs, garden view, heated community pool & spa, newly upgraded high Seer HVAC system, new water heater, and so much more. 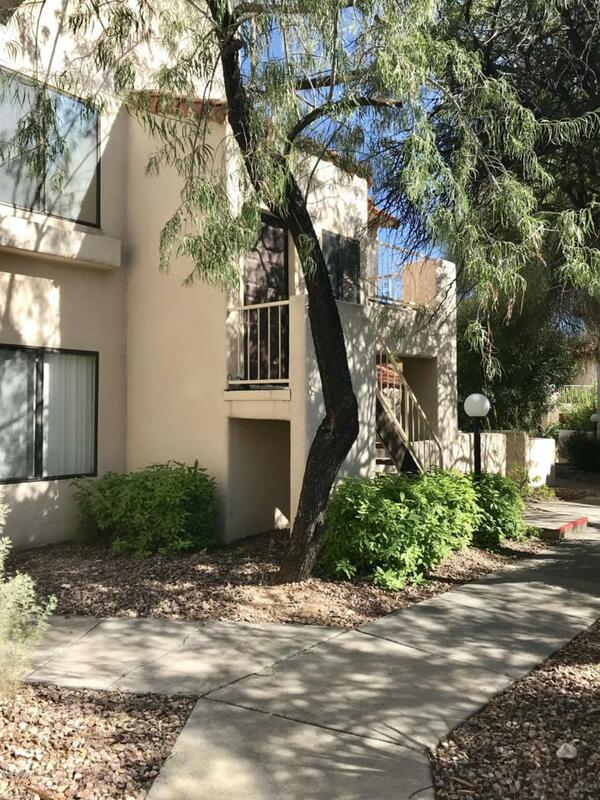 Walking distance to golf, shopping and restaurants. 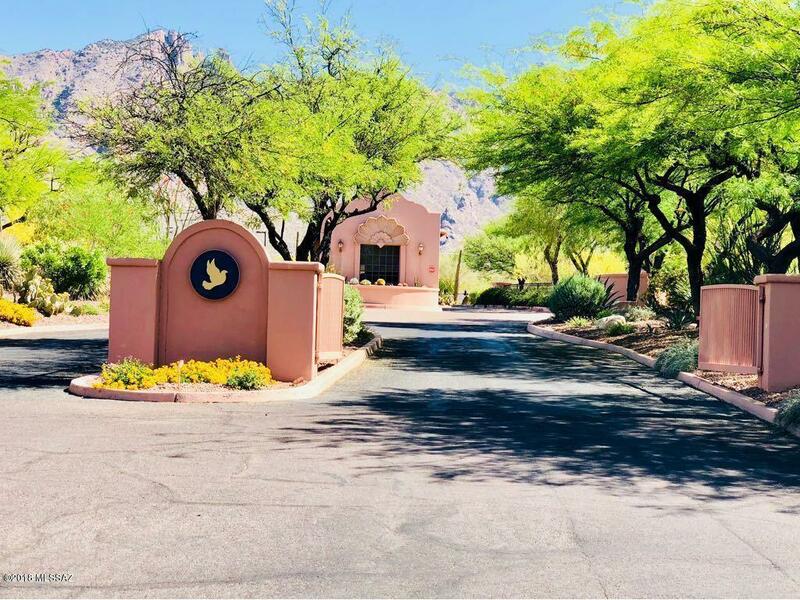 Close to U of A, Medical Centers, and District 16 schools. 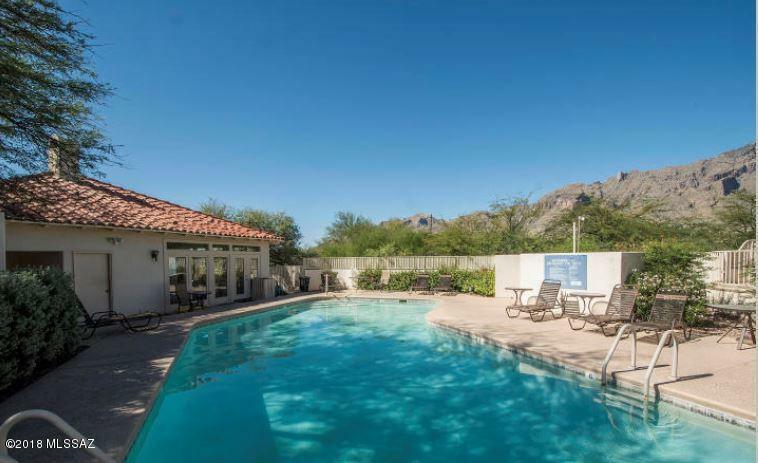 HOA covers water, roof/exterior maintenance, spa, pool, trash, and gated security. Home warranty included.